Enjoy the best inspirational, motivational, positive, funny and famous quotes by Amy Welborn. Use words and picture quotations to push forward and inspire you keep going in life! Lisa Hendey’s CatholicMom.com website has long been a treasured internet gathering spot. 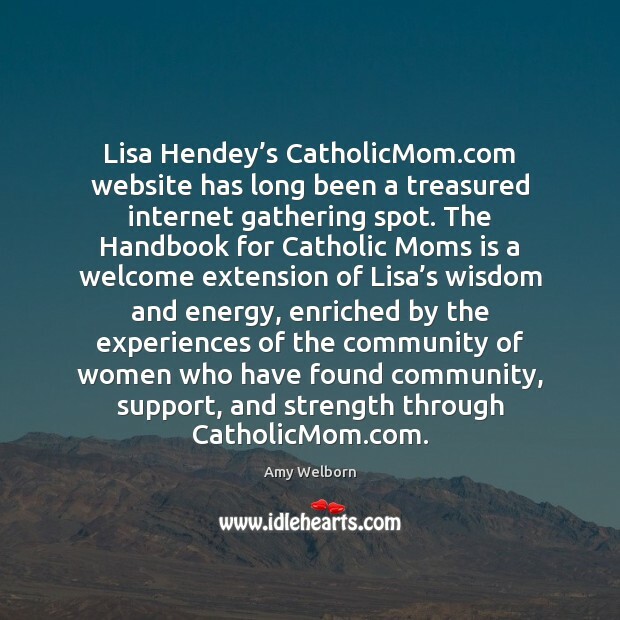 The Handbook for Catholic Moms is a welcome extension of Lisa’s wisdom and energy, enriched by the experiences of the community of women who have found community, support, and strength through CatholicMom.com. 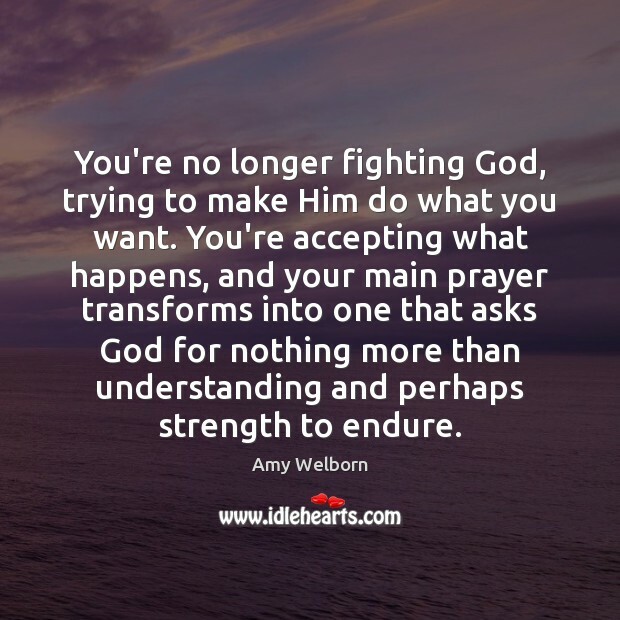 You're no longer fighting God, trying to make Him do what you want. You're accepting what happens, and your main prayer transforms into one that asks God for nothing more than understanding and perhaps strength to endure. 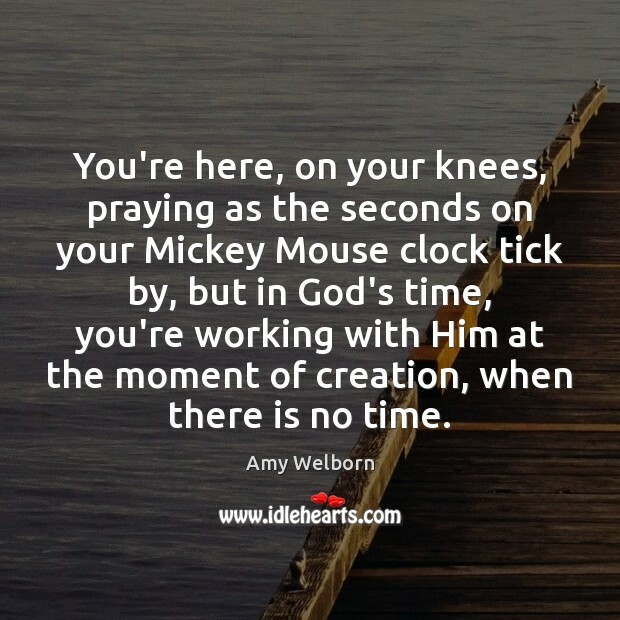 You're here, on your knees, praying as the seconds on your Mickey Mouse clock tick by, but in God's time, you're working with Him at the moment of creation, when there is no time.